In this interview with CHUKS EZE, who visited his workshop in Enugu, Omeh reveals that his company has carried out a successful research and development of wind turbine as a source of alternative energy, adding that it is currently seeking cooperation, partnership and patronage from government, organisations and well-to-do individuals in order to commercialise the product for public use. Engineer Omeh Sebastine Chinonye is the Managing Director/Chief Executive Officer of Hybrid Micro Machines Products Ltd.
Fondly referred to as ‘Nigeria’s Michael Faraday,’ Omeh explains that “wind energy is cheaper, durable, eco-friendly and has very low maintenance level, as opposed to electricity generation by gas”, adding that Hybrid is currently partnering Enugu State government through the Ministry of Science and Technology, to develop wind farms to power certain facilities in the state, such as street lightings, as a pilot scheme, in line with the move by the Ugwuanyi administration to power the state through alternative, safe, and eco-friendly energy. Hybrid Micro Machines Products Ltd is engineering company with a lot of versatility. We are into research and development and fabrications. We are also into fabrication, repair and production of broadcast/communication equipment and into power engineering, such as the one we are currently partnering with the Enugu State government, which is wind turbine, for alternative source of energy. We had done over five years’ research in that aspect, with very advanced success, and we are using this medium to call on collaborators to join us in the struggle. We have reached a comfortable stage where we can proudly bring out products that can effectively help alleviate the power problem of this country. How endowed is Enugu State in terms of wind energy resource? Enugu state is well favoured in terms of wind energy prospects. 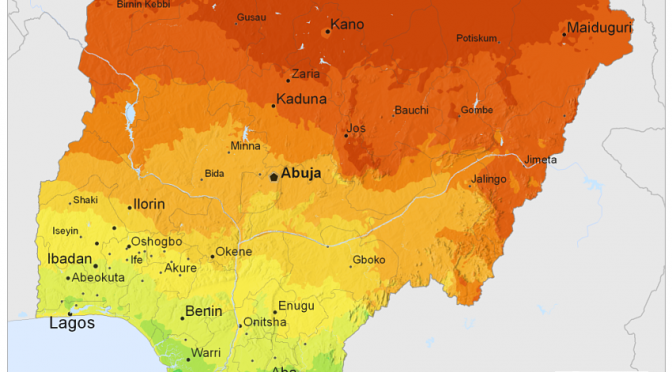 Going by the analysis we got from the wind map, about 33.66 per cent of Nigeria’s land mass have wind energy potential of above 100 Watts per square meter, which is great. And Enugu is one of the states that are comfortably covered by that area. Do you think that Enugu State government can fund wind turbine production? The state can conveniently fund the project without the revenue profile of the state shrinking such that would affect other government projects or engagements. You just have to start from somewhere. In fact, if it is handled appropriately, Enugu State can turn into energy-producing state, in no distant time. It is a business that the government would enjoy – make revenue from it, create employment from it as well as use it to solve a lot of social problems. It is a goldmine, which should not be neglected. With availability of funds, how long would it take Hybrid to produce wind turbines and deliver them at full functional level? We have already finished the research work, which is where the main job is. We are now into development. We have carried out a lot of successful investigations, scrutiny and what have you and our turbines are already working. So, with availability of resources, what we need is to do is to produce the ones that would be deployed for the masses to enjoy. It does not take much time to produce; all we need are the facilities. However, we do not expect the government to just dish out money for nothing. What we are looking at is collaboration. 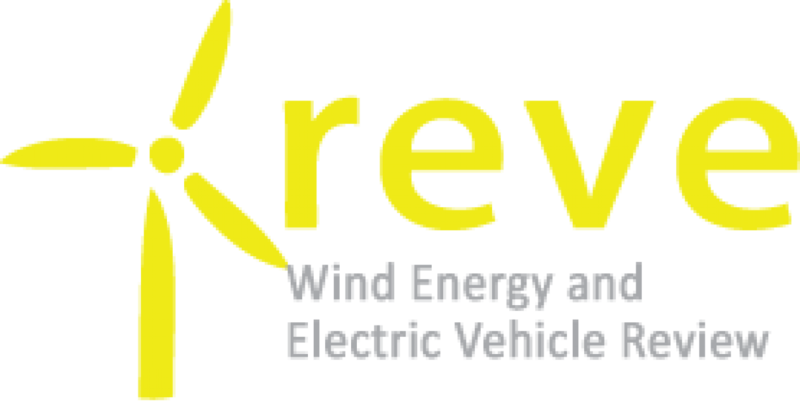 For instance, the State Ministry of Science and Technology has opened up for sensitisation, and if we get the needed support, we will collaborate with the ministry and put up a pilot wind farm and use it to power certain firm or infrastructure, such as a community, street light or any infrastructure of choice, as a kind of demonstration. By doing that, the masses would realise that the thing can work for real and then get interested. When that happens, investors will come; blue chip companies will come in and get interested. It is said that seeing is believing, more so when investors – individuals, corporate organisations or government – come in, they will also see that there is money in the business. Do you have the capacity to mass produce the product, assuming you get several demands? The technology is already working, as I said, and we demonstrated it at a recent workshop organised by the Enugu State Ministry of Science and Technology. It is just like when you finish cooking, you need to dish out the food for people to enjoy, and you need certain basic cutlery to dish out the food. But in addition, if people do not get assurances that your dish is sumptuous, they would not come, especially when you are a first timer. So, we are seeking partnership with the government, to do demo stations, first. Government, individuals or organisations such as school, church or firm, could say, for instance, do a pilot station for so-so infrastructure, or facility, let us see first. By that, we can do small stations to power, maybe school, rural community, firm or church, as the case may be. We can do that, as a beginning, so when people are convinced that it is working, as I said earlier, we continue to progress. Government can even start up a kind of joint venture production and begin to export to other states or even countries around Africa, in the long run. From your research, what other states, especially in the South East, are potentially viable for wind energy exploration? I stated earlier that 36.6 per cent of Nigeria’s total land mass has comfortable wind energy potentials. But when you come to the South East, Enugu State enjoys most prospects. But speaking holistically, a lot of states in the North West, North Central, North East and parts of South West, especially Lagos coast – are the cardinal points that have good wind. Are there any hindrances to the project, for instance the so-called ‘Nigeria Factor;’ official bureaucracy, or existing laws? Yes, those are some of the impediments, but a lot of efforts are being made to address them. At least, we now have Public Private Partnership (PPP) energy production; we have Private Energy Production. And in some cases, wind energy does not involve grid, you can use it to power estate, communities and other facilities that we had mentioned earlier. So, I do not think that much of the restrictions will stop the venture. What other researches have you done successfully, apart from wind turbine? We have done research in broadcast industry, and we have produced a number of FM transmitters for several radio stations across Nigeria. We are also working on renewable energy-powered broadcast equipment that would be out very soon. So, the core areas that we are currently concentrating on are broadcast and power. We actually started with broadcast and we have produced several component parts for broadcast application. We have gone further to produce full branded transmitter. We now have own brand of transmitter, at Hybrid, that we produce locally. These are being used in many radio stations in the country, as we speak. Very soon, we will also unveil to the public, our branded renewable energy products for the broadcast industry. With that, managers of broadcast firms would cease to have headache over resources to power their transmitters and other equipment with gas. The renewable energy products will take care of that. We understand that wind turbine could run for up to 20 to 30 years with minimal maintenance; is your branded transmitter as rugged too? No, transmitters do not run for such a long time because they contain some kind of elements that fade faster. Unlike wind turbine that can last for so long a time, as you noted, an average transmitter can last for about five to ten years before major repairs. But we have the components and capacity – the know-how and materials – to put transmitters in shape whenever the need arises for either maintenance or repairs. During the controversy over turn-around maintenance of the nation’s refineries, you were quoted as having indicated that your company had the capacity to fabricate the so-called critical but out-of-market, obsolete equipment needed for the job; is that still the case now? O yes! We have even carried out a lot of such rescue jobs in the past, especially in the broadcast industry. Even as we speak, we are discussing with a particular ministry to help them reproduce out-dated tractor equipment and we will solve the problem as soon as the deal is perfected. We produce hard-to-find components and just send to our clients without telling them the source, and they would never know they were locally produced by us, in Enugu here. But in several cases, we told them after a while, and they were startled. Our problem in this country is that a lot of people usually feel biased and begin to lose confidence once they learn that you made a product by yourself, and locally for that matter. A customer once hired a German firm to install equipment for his company, and it failed after just a year. They searched everywhere for replacement but failed, until they were directed to us. We requested for the spare part and they gave it to us. We fabricated it in our workshop here and sent back to them. That was over five years ago and the part is still working as we speak. We choose not to disclose the source to some customers because, from experience, when you disclose the source to some of them, rather than commend your effort and be proud of it, they start making annoying, discouraging comments. But there was a certain customer who was highly impressed and proud of us when I told him we had locally produced the equipment that we supplied to him. So, as regards that refinery, if the authorities could give us the obsolete equipment in question, we would be pleased to rescue the refineries; that is if they still have such challenges. How tall is Hybrid’s vision and how far have you gone towards getting there? Our vision is tall, indeed, but our major obstacle is the so-called Nigeria Factor, which you had earlier alluded to in one of your questions? It is so difficult to pull through in this country because you have to do everything by yourself. As I mentioned previously, we have spent several millions of naira, we are still spending, to fund our researches, with no returns, yet, there is no official encouragement, at least a perk on the back. But we are not relenting, though, because our vision is to save this country from being a dumping ground for all sorts of inferior, and most times, harmful products, because we are a consuming nation. That is our driving force because the current situation in the country is not good for posterity. So, for us at Hybrid, we consider it worthwhile, whatever we pass through while striving to rescue Nigeria out of her consumer-nation-syndrome state, and our inferiority complex. It is really discouraging that our people tend to appreciate Chinese products that are so inferior to our local products. But we will continue to whither the storm because it is a struggle that must be won. Are there other storms that you have been contending with, as an indigenous research and development engineering company? There are several of them, and the most demoralising challenge is our attitude. Government never shows interest in either sponsoring research or partnering with researchers. What you usually find is this, ‘Do it yourself’ attitude. And that is why we are pleased and thankful to the administration of Rt. Hon. Ifeanyi Ugwuanyi for at least, showing interest in what we do. That alone is a huge encouragement. Our people love to be slaves; we do not like things that are Nigerian. The commonest Nigerian looks down on anything that is Nigerian, and it is very wrong. Another challenge is our economy. Our economy is poor and things have continued to worsen by the day. Why should we go to China to acquire products that we produce in better quality here? Patronise us, get the best service and grow our economy, at the same time. That is what we expect from our authorities and citizens. For instance, we, at Hybrid, are urging the government to set up pilot wind farm, which is not for free. We are simply saying, come and partner with us, we will do it and you use the energy to power, for instance, your street lighting project, instead of running diesel. But some officers in charge would prefer to continue running diesel so they can continue to make financial gains. The question is: is that the way to go, if we really mean well for our country and state? It is certainly not and it is unfortunate. What is your take on the volume of generating sets that flow into Nigeria from overseas on daily basis? It bleeds my heart each time I think about the number of all sorts of hazardous generating sets that flood this country. I do not totally blame Nigerians because they have to find a means to power their appliances and keep life going, in the absence of effective public energy supply authority. And it is unfortunate that day-by-day, rather than improving, we are going further down. So, my advice to government, well to individuals and corporate organisations also, is that they should gear up and partner with us so we can face our energy challenge head-on. There is a global clamour for shift to clean, renewable energy to address the plague of strange diseases, global warming and climate change, which largely resulted from pollution. So, let government and all citizens join efforts, shun immediate personal gains, so we can save our nation. Our efforts, money and other investments will never be in vein but rather, steps towards progress. 3) ‘Government never shows interest in either sponsoring research or partnering with researchers. What you usually find is this ‘do it yourself’ attitude. And that is why we are pleased and thankful to the administration of Rt. Hon. Ifeanyi Ugwuanyi for at least, showing interest in what we do. That alone is a huge encouragement’.